I once had a conversation with Ansel Adams, you know one of America’s greatest photographers. Even if you don’t know him by name you have invariably seen his work. Think nature, think Yosemite, and think beautiful black and white photography. If you are a large format photographer you know or should know his famous “Zone System” Ok so what does this all have to do with me as a painter? Well during that conversation with Mr. Adams I complimented him on his photography and told him he had much to do with elevating photography to a true art form. His response to me, “Well some people like it.” delivered in the most self-effacing way, he was a great gentlemen. That comment stuck with me for all these years since. I have humbly adopted that phrase when people compliment my art. Never kidding myself, I clearly understand that the way I paint is not for everyone’s taste, but to quote a creative mentor of mine “Well some people like it” so that being said, I humbly decided to offer posters of my art. I wanted to make it easy, by making them available on Amazon at a very fair price. Not everyone has the desire to purchase an original paintings which is understandable. My art posters our printed on archival museum quality paper. The colors are rich and vibrant without being too overpowering when framed and hung on the wall. 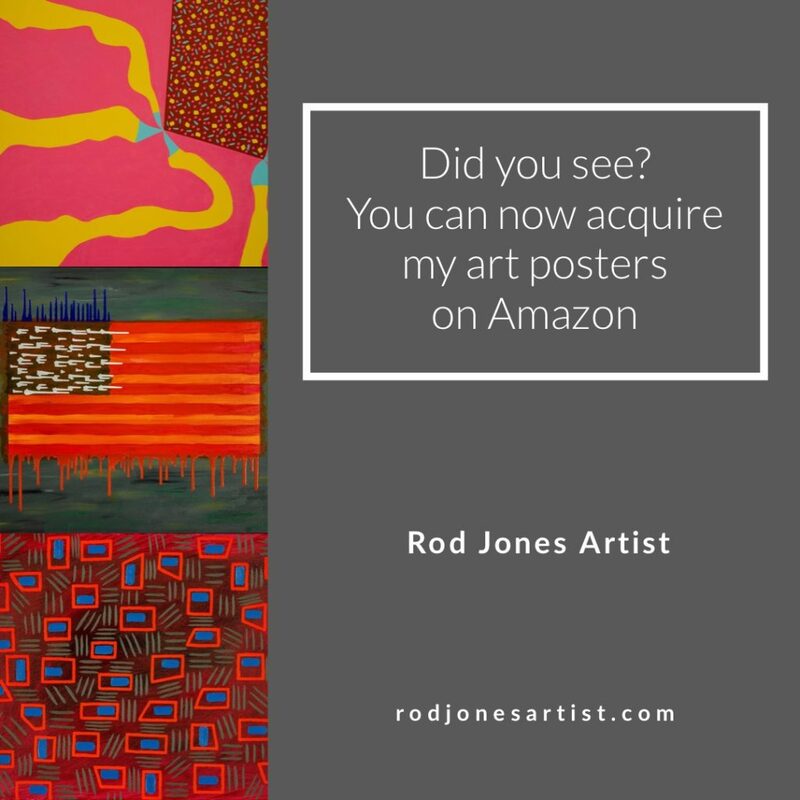 Posted in Receptive Abstract Patternism, Rod Jones Artist and tagged ansel adams, art, art advisor, art collector, art consultant, art curator, art museum, art poster, art posters on amazon, contemporary art, fine art poster, poster, rod jones artist on amazon, wall decor on amazon. Bookmark the permalink.